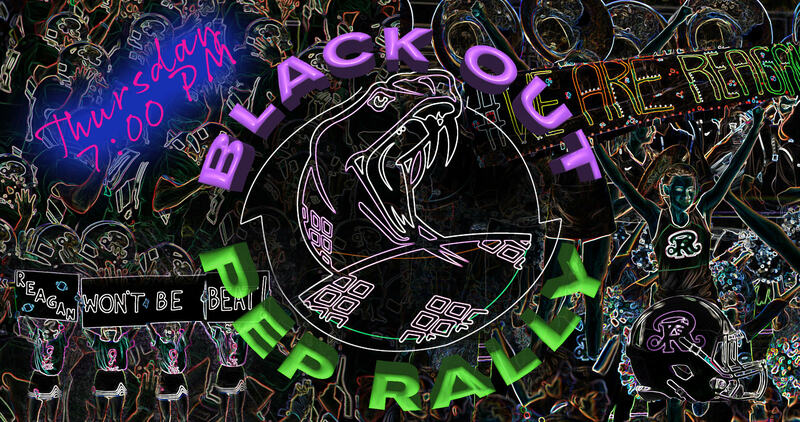 September 24, 2018 – Get to the BLACKOUT Pep Rally on Thursday at 7:00 p.m. in the Reagan Gym. Rattlers will be showing and glowing their school spirit and dance moves at this exciting pep rally! For the best experience, deck yourselves out in white and/or neon! Reagan Spirit will be selling $5 Chick-Fil-A meals too!